Once a love for learning has been instilled in each child, it is the elementary years where this love of learning is expanded and new horizons begin to be explored. Children in first through fifth grade are changing daily as they discover more about themselves and the world around them. During this time, students are taught that they have a purpose and that it is up to them to develop all areas to become the person that God wants them to be to fulfill His call on their lives. Daily Bible lessons, weekly chapels, student led service projects, and life's daily lessons give students insights into the nature and character of God. 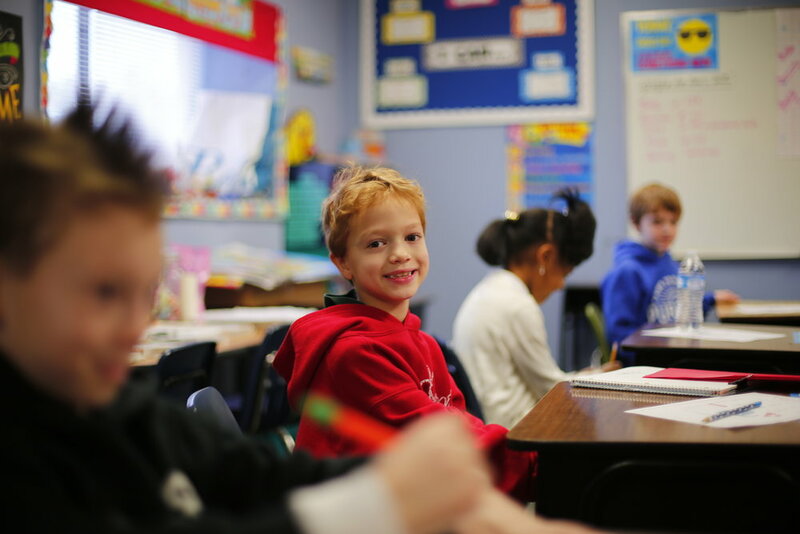 Core academic areas at Covenant meet or exceed state and national standards. Mathematics, language arts, science and history are integrated and taught from a Biblical worldview. iExplore courses in computer, visual art, music, Spanish, and physical education allow students to explore different disciplines to discover their God-given talents.